Sarah spent her life leading up to college in Oviedo, Florida, a little city right outside of Orlando known for the wild chickens that roam the downtown area and the “I brake for Oviedo chickens” bumper stickers. Despite being from the Orlando area with many world-class attractions, some of her biggest fears include rollercoasters and large crowds. She decided to go to THE Florida State University for college to pursue a major in journalism, only to find out at orientation that there was no journalism major at FSU. In distress and haste, she went with a major in Information, Communications, & Technology and ended up finding it fairly interesting and graduated with it in 2017 with minors in English and Italian. Sarah joined the Catholic Student Union at FSU as a shy little freshman and immediately found a home with the other students there who allowed her to foster a growing relationship with Christ. After many small conversions and spiritual guidance along the way, she felt the Lord ask her to be bold and step out of her comfort zone to use the gifts that He gave her to build up His Kingdom to serve with SPO. Sarah's idea of a perfect weekend includes hammocking while indulging in either British literature, any or all BCC shows on Netflix, or just staring at nature a safe distance off the ground from all of the bugs. She is very excited to serve alongside some incredible teammates at the University of Minnesota and embark on an adventure with Christ into the Minnesota winters. Samuel grew up in the Village of Versailles, Ohio amidst a small family-owned hog farm. He spent many hours outside taking care of the hogs with his two older siblings. When he was not cleaning or feeding the hogs, he would spend time playing one-on-one football, home run derby, or simply fighting his twin brother. After growing stronger, wiser, and more responsible through the work on the farm, Samuel took his talents to Columbus, Ohio to study Food Science at The Ohio State University. Immediately, Samuel decided to invest in his relationship with Christ at Ohio State by attending Mass at the Newman Center every day. While trying to grow closer to Christ, Samuel also worked on building up his personal resume and status by joining multiple clubs and organizations on campus. After encountering the Men's Household program at Ohio State, Samuel realized the efforts he was putting into his other activities would never compare to an authentic relationship with Christ. Through the mentorship of Mission Leaders and Student Missionaries, he developed a prayer life and was renewed in his life with Christ. Samuel's life took a turn when his prayer and desire to work with others led him to transfer to Ohio Dominican University to study Theology with minors in Classics and History. Samuel is excited to be serving at the University of Minnesota in the Land of 10,000 Lakes. When he is not on campus with his co-workers and students, you will probably find him on one of those lakes kayaking and fishing, going on a run, calling his family in Ohio, or participating in an epic pun battle with his teammate, Alex. It was during his sophomore year as a student athlete at Benedictine College that Robert encountered the SPO community for the first time. After a powerful encounter of the Lord’s love on a Fan into Flame retreat, he decided to quit playing soccer and move into an SPO Household to grow in Christian maturity. It was Household living that truly challenged Robert to live out his Catholic faith in a comprehensive and authentic way, and he has been actively pursuing a greater relationship with the Lord and trying to help other men do the same ever since! After graduating from Benedictine, Robert spent his first two years on mission at Texas State University. He feels so blessed that the Lord has called him to continue this mission full-time with SPO for a third year at the University of Minnesota, and can't wait to serve the students and SPO community there. Follow Robert's SPO mission here. Kayla was born and raised in Eagan, Minnesota, in a family of five. Though brought up in a wonderful, actively Catholic family, maintaining her relationship with Christ was not easy in high school, so the college search meant looking for a school with a great Catholic community. She found that at Benedictine College in Atchison, Kansas (Go Ravens!). After a life changing, fun first year, Kayla experienced a call to serve with NET Ministries for a year, which taught her the importance of living with others who are seeking the Lord, so she joined a Household at Benedictine upon returning to school. 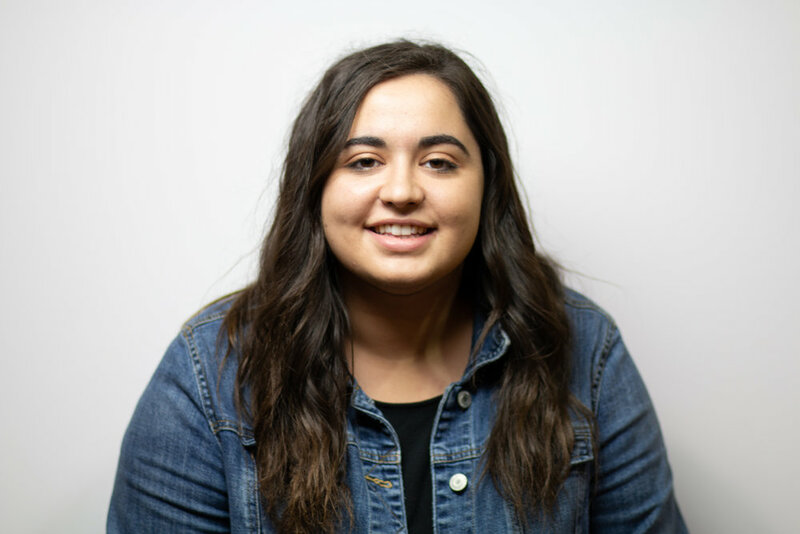 Over two amazing years, Kayla witnessed firsthand the way the Lord works through Saint Paul's Outreach, and is excited to continue serving as a Mission Leader in her home state at the University of Minnesota. Kayla enjoys baking, reading, graphic design, camping, and pulling pranks.